Today, Happy Pets have announced that there is a new adoptable pet available in the game - the Honey Parrot. 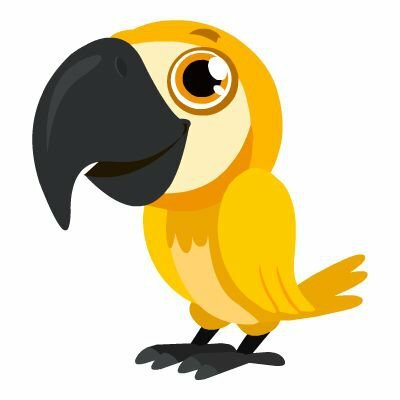 This parrot is a beautiful rich shade of yellow and has a big adorable beak. While there isn't actually a real bird named a Honey Parrot, we still think this is a fine addition to the game. To claim a Honey Parrot, it's the same as any other adoptable wall post animal. A friend will discover the lost parrot in their room, and will be able to share the parrot with friends on their wall. If you want to be the proud owner of a new Honey Parrot, you'll just have to be the first one to click on the wall post. Sounds easy, doesn't it? Well, as long as you're quick you'll do just fine. Do you have a Honey Parrot yet? How adorable are they?